Average export price for whole apricots for June was $3096/ton FOB compared to $3220/ton last year. 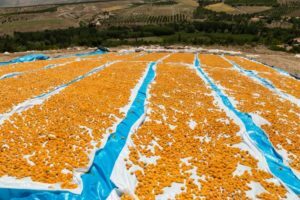 Exports are tapering off as remaining quantity of clean apricots comes to an end. Only small fruit and blemished fruit remains. Expectation for the final export ed tonnage to be 96,000 tons with 10,000 tons domestic consumption and a carryover of small and industrial fruit of 10,000 to 15,000 tons only. Harvest is in full swing. The weather dried up just in time, and current and forecast weather is perfect for drying. Roughly half the crop is blemished with hail and speckling due to the stormy weather during May and June. Prices offered by juice companies for blemished fruit are once again very low, and some of the worst quality is not being harvested. 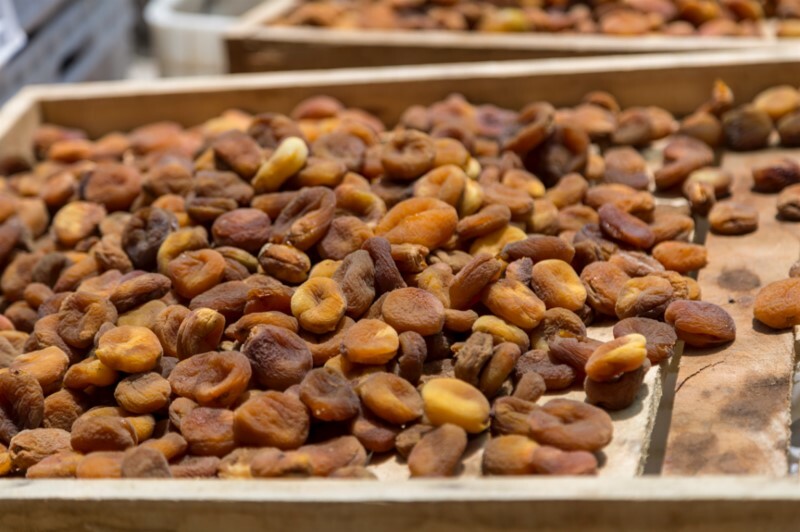 There will again be a higher proportion of the crop un sulphured as blemishes are less visible on natural apricots, therefore a lower percentage of sulphured apricots available. Prices for unblemished fresh fruit have been trading at almost double last years prices, at a healthy Tl 2 to Tl 3 per Kg depending on size and quality. Of the 100,000 to 110,000 tons dry equivalent that we think will be harvested, 30% will be natural, and of the remaining 70% there will be 50,000 to 60,000 tons of clean fruit. We see a similar scenario as last year developing where clean fruit becomes increasingly harder to find as the season progresses, and prices rise as a result, with lower quality and industrial prices lagging behind. Natural apricots are likely to continue to trade at a discount to sulphured. Prices have opened higher than last years opening but lower th an the mid season prices, we think the market is well priced at this level, and buyers of quality fruit are advised to book early. A few small lots of new crop have come to market this week, and have seen strong demand at the same prices as old crop finished off, in the region of $3300 for size 4. The government continues to develop its price support scheme where apricots may be delivered by growers to a central depot against an official receipt that they will be able to borrow against, meaning growers are not forced to sell to raise cash at times they believe prices are low. The warehouse is expected to be ready towards the end of the calendar year. Similar schemes in the distant past have not been a great success, but in the short term they may further reduce the amount of apricots in the market. The elections are passed, and the ruling party has consolidated it position. The currency was initially buoyed by the results but gains have reversed this week as the international markets are unhappy with the choice of ministers just announced. Rating agencies are expected to react negatively, keeping pressure on the Lira. It is currently trading at 4.81 to the $.